Always a good day when one of your favorite underground bands who are making a point on expanding their sound puts out a record on one of your favorite underground labels who are making a point on expanding their sound. 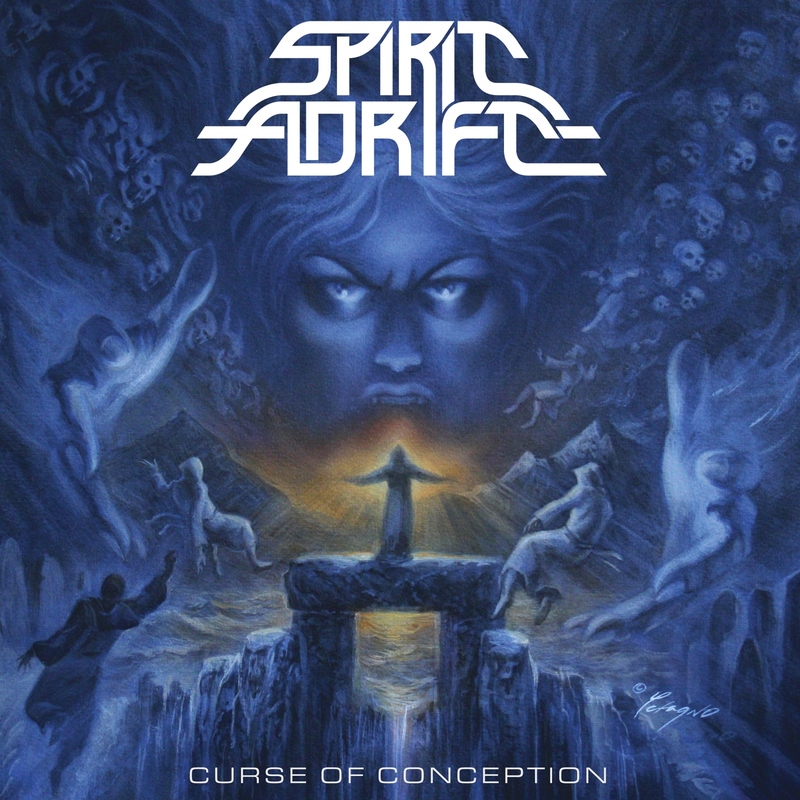 Such is the case with Spirit Adrift and their new record Curse Of Conception, an absolute masterpiece that sees the Arizona doom unit move past their common limitations as doomsters and shift into something far greater which hints at a bolder and darker future for the genre as a whole. Curse Of Conception fascinates me simply because of the wealth of melodic content involved. There are a ton of fiddly guitar lines that define this record and which actually often end up bleeding into the world of mainstream metal. The counterbalance between a passage that wouldn't feel out of place in a Trivium song with bits reminiscent of bands like Witch Mountain is actually delicious and feels more true to the essence of doom metal then many modern doom metal records. There is a sense of freedom behind the music of Spirit Adrift that only serves to make it a highly addictive listen for fanboys like myself. So yes, a lot of elements here are reminiscent of bands like Pallbearer and Warning, or even a few death metal acts (This group does share half its lineup with Gatecreeper after all!) but that's besides the point. The point is that Curse Of Conception is a masterpiece of modern metal, something that speaks to what the genre is and what it will eventually evolve to be. Spirit Adrift is forward thinking, ambitious, and always exciting to pick apart. If you can't embrace the sheer madness within then you will never find absolution.